Love staying in a themed hotel room? Who doesn’t. Though if your goal is sleeping in all of them you’ll be traveling around the globe to fill out your bucket list. And many of your destinations will be in Asia where themed rooms are very popular. 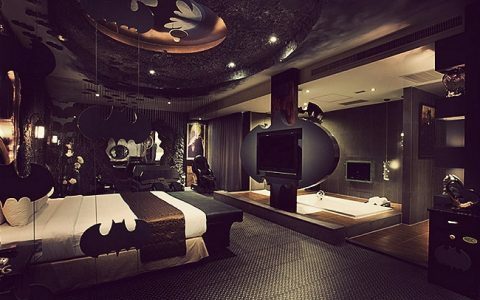 London’s Daily Telegraph has compiled a slide show of the most interesting, including the Batman Room (pictured above) at the Eden Hotel, Kaohsiung, Taiwan. To view the list click here.